Porchetta is a typical dish of our territory consists of a pig boned by hand and seasoned inside with salt, pepper, herbs and wild fennel, which gives it a scent and taste absolutely unmistakable cleverly tied in the right shape to give compactness meat and roasted in the oven. 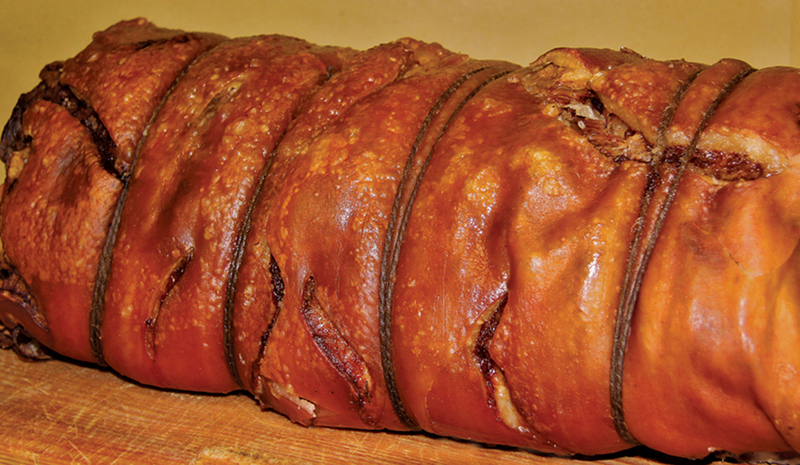 The porchetta is eaten sliced as a main dish or meal out in sandwiches. It is a must in the summer snacks accompanied with red wine.